Chanel’s clients come from all over the world to view its precious collections at its storied couture salon on Rue Cambon. 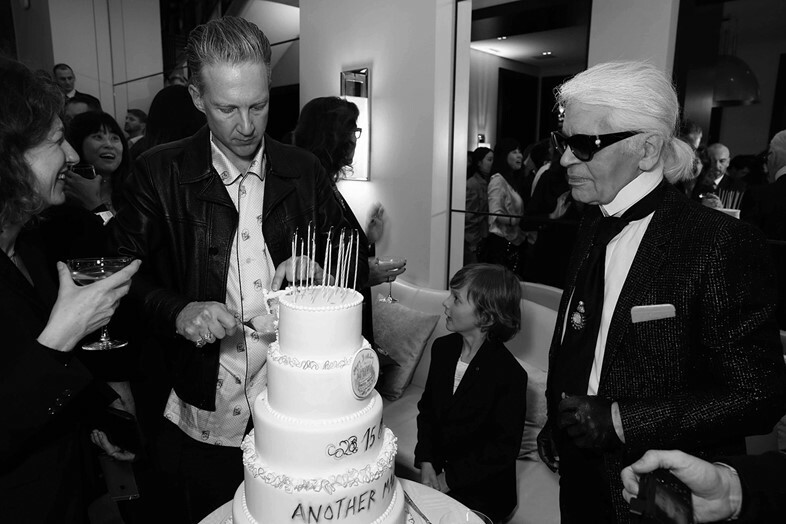 Last night the ivory-carpeted rooms were transformed to celebrate a rather different kind of creation: a holographic magazine cover featuring Karl Lagerfeld, marking 15 years of AnOther Magazine. A giant version of the limited edition cover, featuring a 3D portrait of Lagerfeld on an ombré violet background, presided over the comings and goings, while the man himself exchanged bon mots with the gathering crowds. 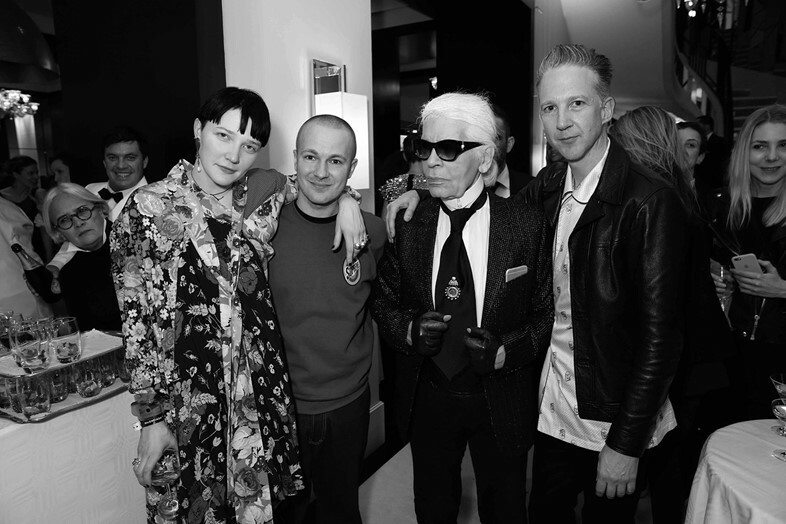 Guests including Pharrell Williams, Bella Hadid, Delfina Delettrez, Emmanuelle Alt, Hari Nef, Kendall and Kris Jenner, Michel Gaubert, Michèle Lamy and Rick Owens, Riccardo Tisci, Stephen Jones OBE and Suzy Menkes soon filled the room. Music came courtesy of Lotta Volkova and Amandine de la Richardière, the former in a billowing floral dress from the Balenciaga collection she had styled earlier in the week. Her set of 80s Eastern Bloc techno reverberated off the 18th-century walls with an exuberant energy. Vetements and Balenciaga designer Demna Gvasalia and his friends were also in attendance, marking a zeitgeist-affirming union of the established and the new fashion order. The delicately scented rooms had been carefully set with chairs from the triumphant A/W16 Chanel show that had taken place earlier in the day. Friends and family of AnOther and Chanel gathered around – Tim Blanks, Katy England, Susannah Frankel, Amanda Harlech and Princess Caroline of Monaco among them. Lagerfeld was overheard admiring AnOther fashion editor Nell Kalonji’s Picasso-blue hair, while Jefferson Hack swapped dance moves with Lagerfeld’s godson Hudson Kroenig. 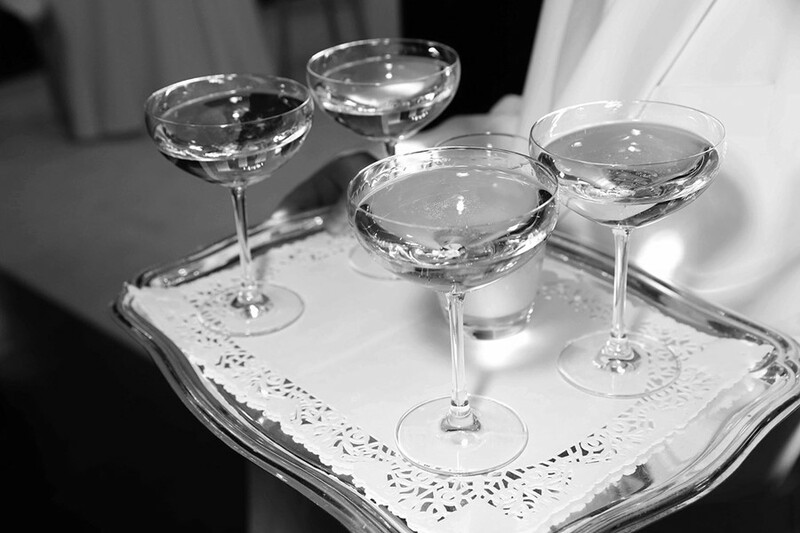 Champagne flowed freely into crystal coupes, and guests dined from a buffet of truffled cheese, smoked salmon and tartiflette, and canapés on silver platters. Guests ascended the fabled mirrored staircase to wander the rooms of Coco Chanel’s private apartment, the space she used to relax, read and entertain – she slept over the road at the Ritz Paris. Preserved as she left it, the ornaments and decorations were a reminder of the provenance of those famous Chanel talismans (interlocking Cs, stars, lions, sheaves of wheat), some of which Lagerfeld had brilliantly re-imagined in his collection that morning.